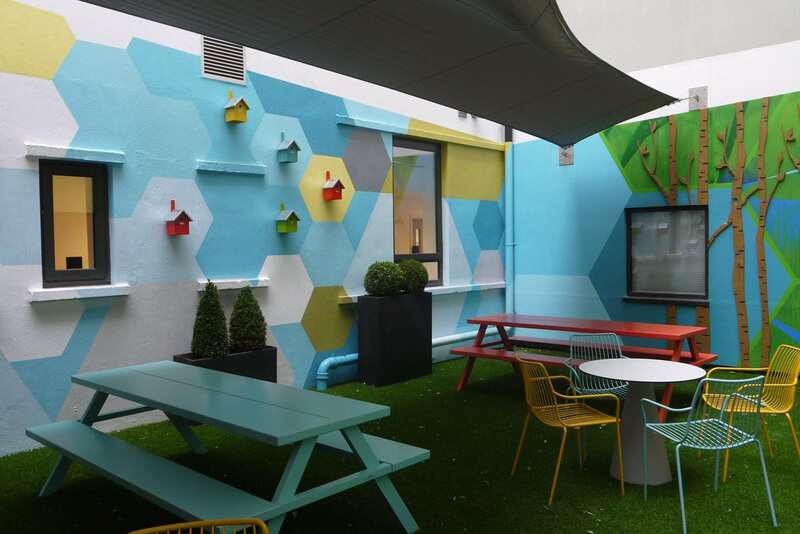 Shand House in Cardiff is a student accommodation building that wanted to transform their communal courtyard from a dingy space into a place that the students would want to utilise. 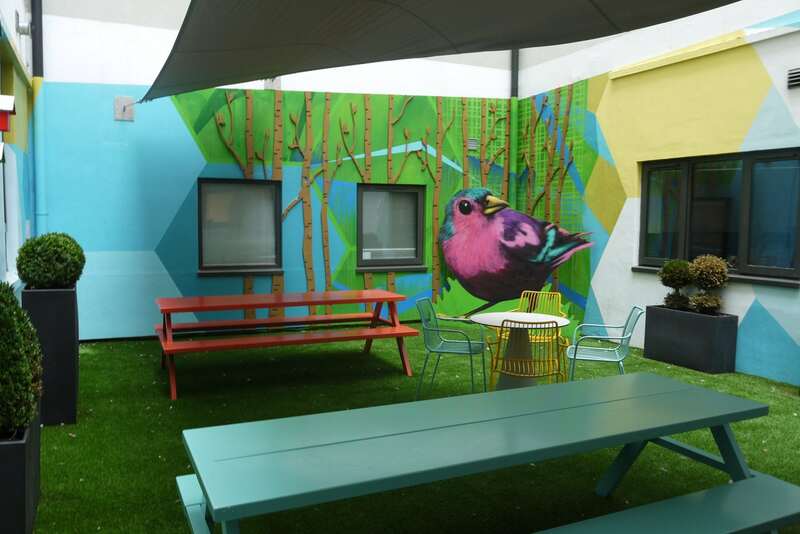 We designed and created feature murals on the courtyard walls that had a funky and vibrant look. 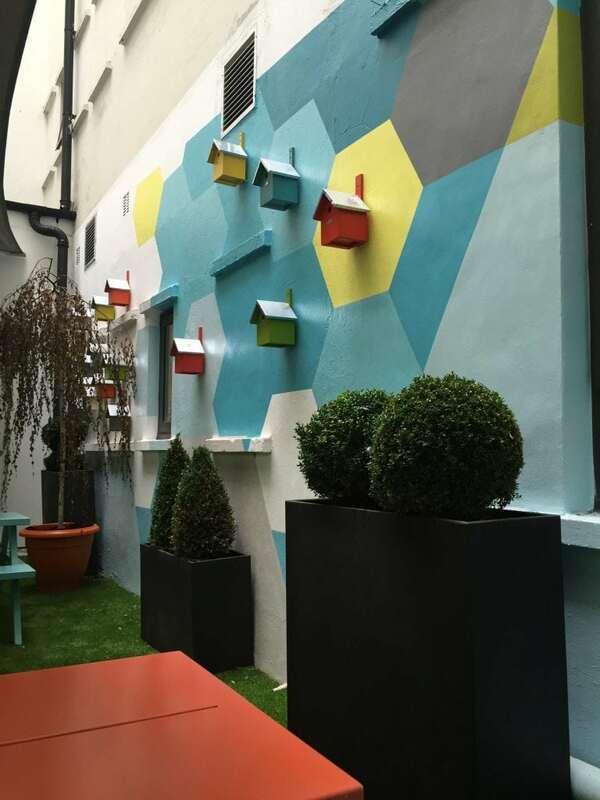 The design also incorporated some fun nature elements, with a 2m high Finch, plywood tree trunks and brightly painted bird boxes. 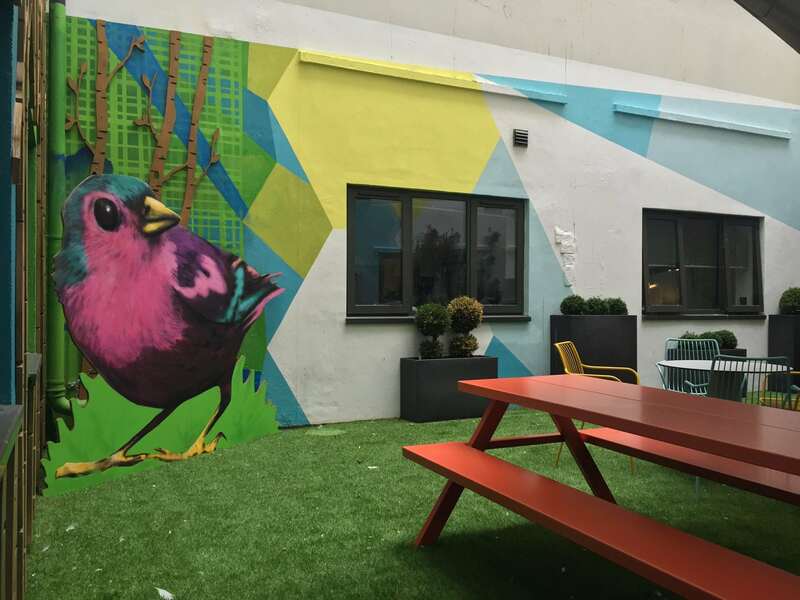 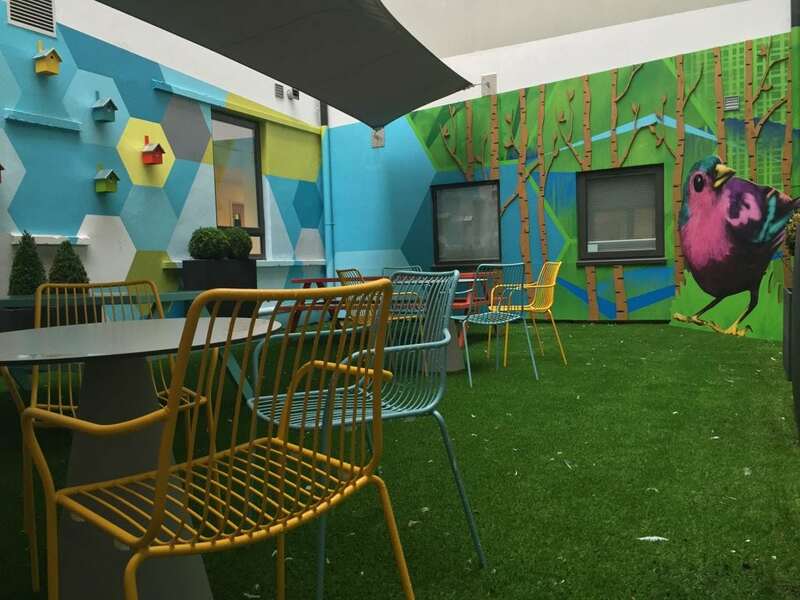 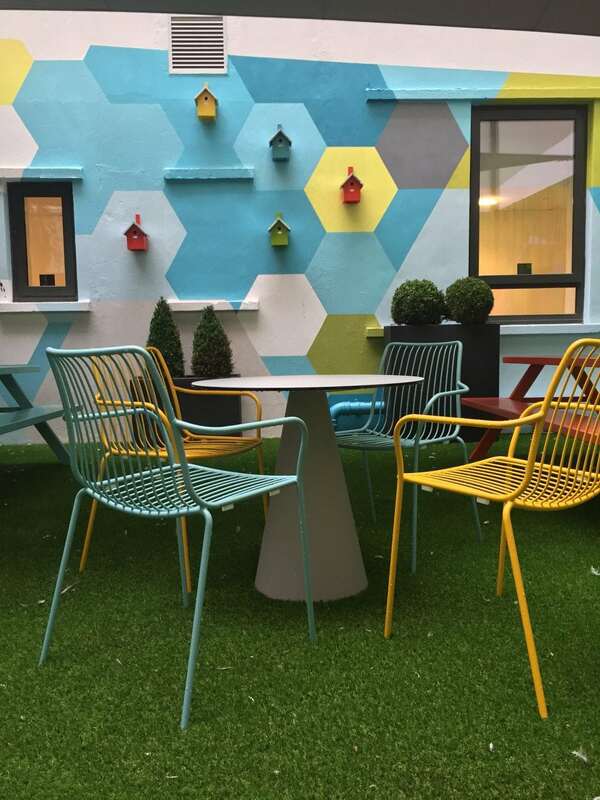 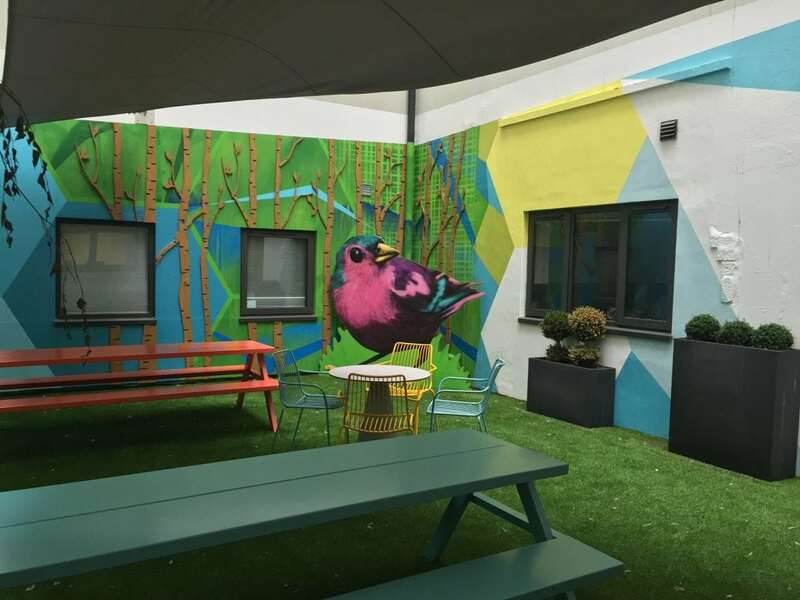 With our murals in place the courtyard was fitted out with astro turf, bright coloured garden furniture and various planting to complete the desired end result.